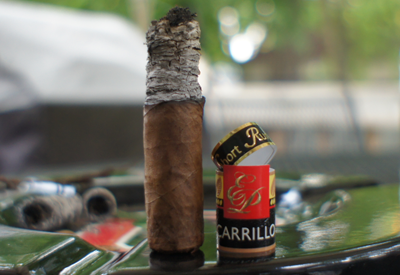 It's been awhile since I have done a review from the EP Carrillo (EPC for short) camp, so I thought I'd do one today for a cigar that my friend Tony Casas (Casas Fumando) gave to me on our recent trip to Nicaragua. 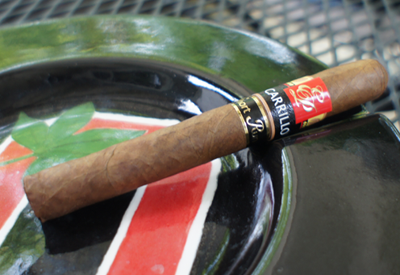 The EPC Short run #4 was an exclusive release to Federal Cigar last year. The blend is the 2010 short run release, but the size is something exclusive for the Federal 90th anniversary. The wrapper on my Short Run #4 was a light brown color with some very light spots in certain places. There were lots of tiny veins running all around the cigar, but you really could only see them if you looked closely. Squeezing the cigar, it was rock hard. They packed a lot of tobacco into this little guy. The pre-lit aroma was a mixture of hay and that not so pleasant (but pleasantly named) "barnyard" smell. The cap slipped with no issues, but the cold draw was very tight. I clipped it a bit more, but unfortunately that didn't help. On the plus side, the taste from the cold draw was a strong raisin flavor. Even with the very tight draw, I still got a lot of flavor to come out of the first half of my Short Run #4. The front of the profile consisted of graham and thick sweet honey. Yes..just like the cereal Golden Grahams. The finish had a nice contrast to the sweet front and tasted of some mild black pepper. The pepper sat directly on the taste buds in the center of my tongue for a long time between draws. 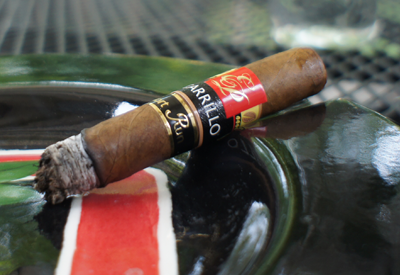 I must point out that even with its small size and a somewhat windy day, the ash was very strong on this cigar. The nicotine strength was a solid medium. The second half Short Run #4 was pretty much the same as the first half until I got down to the nub. The draw was still plagued with tightness, but the flavors were strong enough and enjoyable enough that I didn't want to put the cigar down. Once I did get to the nub (it took a long time even with it being such a short cigar) the black pepper taste really ramped up and took over the front and the finish. It was very spicy and exactly what I enjoy in cigars. I'd go as far as to say that the end of my experience with this stick was a pepper bomb. The nicotine level never got about a solid medium. Final thoughts on the Short Run #4 ? Like I said in my intro, I really liked this blend in other sizes and, for me, the #4 size was just as good. I normally get a little bored with cigars that are mostly one dimensional in taste, but these flavors just seem to work so well that I never got to that point. 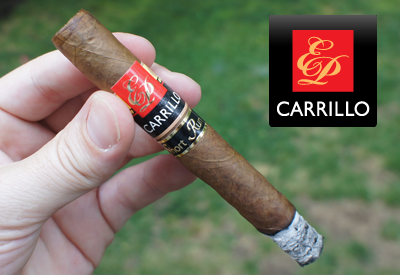 Bold statement of the review: I still think the 2010 short run is the best blend to come from EP Carrillo's new(ish) venture to date. Would I buy a box? If they still have some left, this is box worthy.